Canadian actor Christopher Heyerdahl may have had a point. There’s no sense trying to win a battle with Mother Nature, but you can certainly take steps to protect your house and livelihood from the slings and arrows of the elements. Besides utilizing the power of a home warranty plan, there are things you can do yourself to maintain your home and appliances. 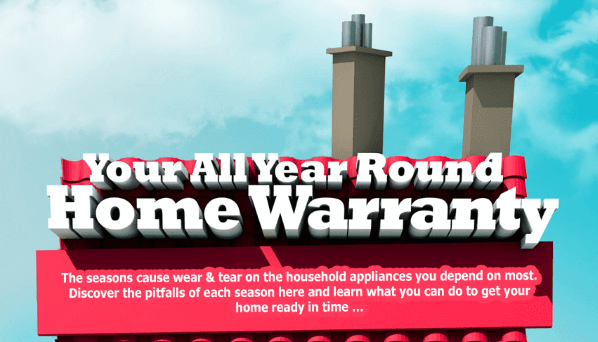 If you’re trying to safeguard your household appliances, there is a number of steps you can take to help lessen the damage caused by the heat of summer and the blistering cold of the winter months. Such steps can not only prolong the lifespan of your appliances, they can also save you some money down the road. 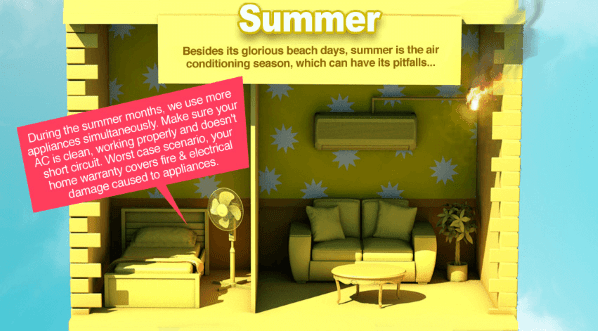 The heat and humidity of the summertime can really put some stress on your appliances. With temperatures soaring, your appliances will have to work harder, especially ones that are tasked with cooling, such as refrigerators, or your air conditioning system. Your first motto should be: if you can’t beat the heat, avoid it. Make sure your refrigerator isn’t exposed to direct sunlight, and is in a shady part of the house where it won’t have to work too hard. You should also try to ensure clearance around the sides of the appliance so that air circulates and it stays cooler. When it comes to the summertime, most of us try to avoid working too hard if we can, especially when it's hot out and the beach is calling. The same goes for your appliances. When you leave the house on a hot day either turn off the air conditioning or set it to a high temperature in the upper 70s, which won’t be too hard for the system to maintain. You should make sure to regularly clean the air filters and also clear out any obstructions like grass or leaves that could be crowding your air conditioning system and making it work harder than necessary. In the summer, electrical systems can suffer “brownouts,” which are power slowdowns due to over-taxing of the system as people use the air conditioning more than usual. When the electricity gets back to normal, there may be an initial surge which can damage appliances. During a power slow down, either unplug appliances or use a surge protector just to be on the safe side. Seriously cold weather can wreak havoc on your appliances, even if you don’t live in the Great White North. Even in the South and the Sun Belt, freezing weather is an annual event and the sudden, extreme changes in temperature can really throw a wrench in the works. When a freeze is coming, make sure to leave a faucet dripping—especially outside—in order to keep your pipes from freezing over and bursting, which can cause water damage throughout your house. You’ll want to make sure the water in your washing machine doesn’t freeze over, so if it isn’t in a well-insulated part of the house you should disconnect the water lines from the wall and use pipe insulation to keep the hoses warm. It might sound ironic, but you’ll also want to keep your refrigerator from getting too cold and freezing over. 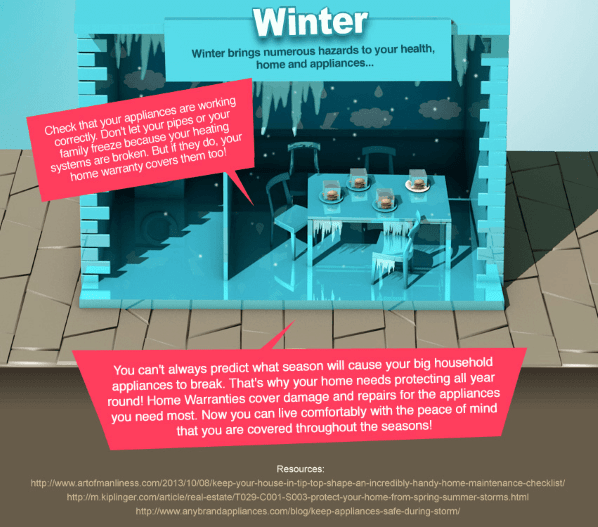 This is more likely to occur in a garage or shed, so if you have a second fridge in one of these colder, less-insulated parts of the house, try to find a way to move it inside, and if not, then at least try and move some of your frozen food to a unit inside the house in case the one in the garage goes out during a cold front. When it comes to your HVAC system, if you have an outside unit, try to keep it clear of snow and ice, and if any accumulates around the system, clear it off when possible. This will help you maintain airflow to the unit and keep it from freezing over. With your home furnace, make sure to regularly clean and change the filters, and also take care to keep the blower blade and other areas clean of dust. Winter storms can bring powerful winds, rain, and lightning that can damage electrical system. This is especially true when trees start snapping and taking out power lines. In severe winter weather you may experience blackouts, so just like with brownouts, use surge protectors or unplug appliances to stay on the safe side. After the winter dies down, make sure to go through the house and assess whatever damage your appliances may have suffered. Look for leaks and wear-and-tear and try to patch up or fix these problems before they worsen. You can’t fight city hall and you for sure can’t go to war with Mother Nature. Still, you can take a number of steps to protect your appliances and lessen the damage suffered in the extremes of winter and summer, which can save you big in the long run. 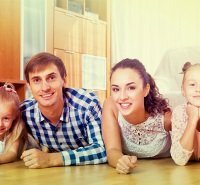 If you don't have a home warranty plan yet to go along with these protective steps, have a look at these in-depth reviews to help you decide which one is right for you.